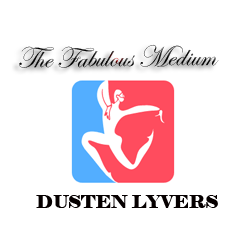 Private Policy Agreement | Welcome to Dusten Lyvers' Official Website! By scheduling an appointment with Dusten Lyvers owner of Dusten Lyvers, LLC you are agreeing and understand that your e-mail will be added to Dusten’s email list. Dusten sends out email blasts via MailChimp at least once a month updating people on what is new with his endeavors and business. Your personal information will not be shared with any other companies or individuals, and any information posted on social media about your appointment will not have obvious identifying information such as your name or email address. If you would like to make sure your information is not posted online or on social media please ask Dusten not to share any information regarding you or your appointment. Thank you.